Eucryphia × intermedia 'Rostrevor', although for obvious convenience is more commonly known as Eucryphia 'Rostrevor', is an attractive, fast-growing hybrid of Eucryphia glutinosa (southern Chile and Argentina) and Eucryphia lucida (western Tasmania). The selected form 'Rostrevor' is the one most likely to be seen in general cultivation. The original hybrid was first discovered in Rostrevor, Northern Ireland, in the garden of the late Sir John of Bladensburg. The 'Rostrevor' selection was also raised in Rostrevor. Historical note:It was shown in flower by Lord Aberconway on the 1st September 1936, at Vincent Square, a large grass-covered square in Westminster, London, England, covering 13 acres. 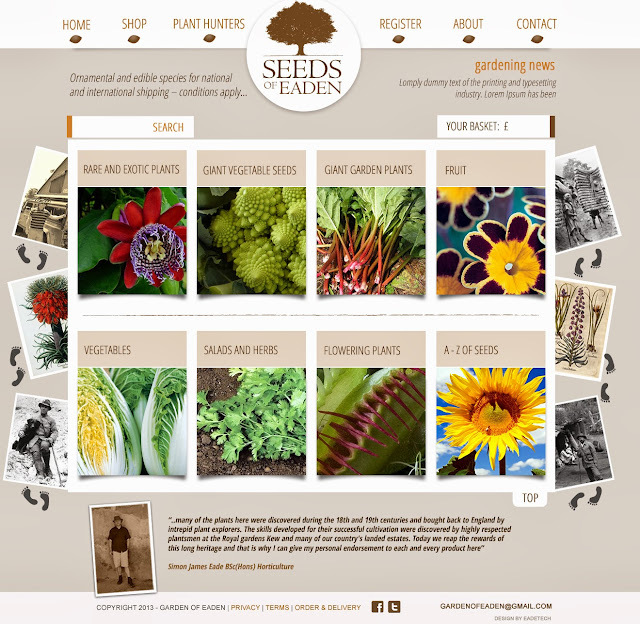 Suitably impressed, the Royal Horticultural Society awarded it the prestigious Award of Merit. It is an extremely free-flowering, small tree with a compact and broadly columnar habit. 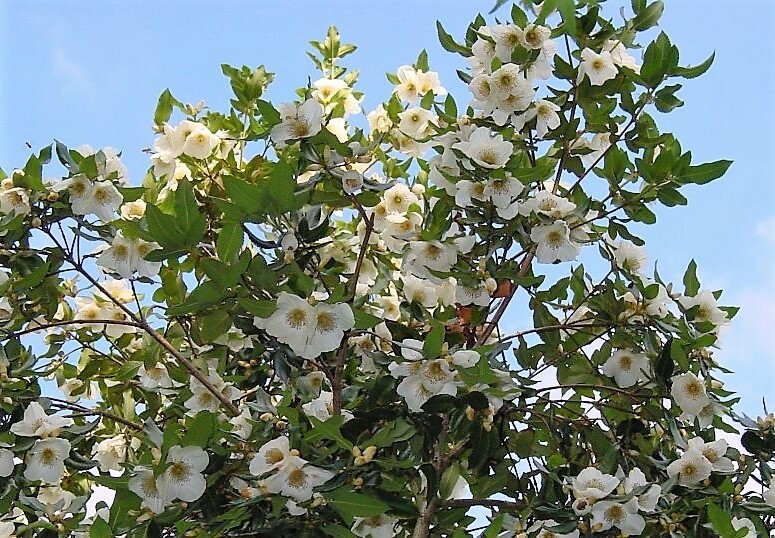 Under favourable conditions you can expect Eucryphia × intermedia 'Rostrevor' to reach an approximate height of 8-12 metres with a width of between 4-8 metres. It has both both simple and trifoliate leaves, which are glaucous (dull greyish-green or blue colour) beneath. The fragrant white blooms smother the slender branches in in August and September. Each flower composes of 5 petals and is 2.5-5 cm across. Eucryphia × intermedia 'Rostrevor' has received two further awards from the Royal Horticultural Society, namely the First Class Certificate in 1973 and the Award of Garden Merit in 1984. Provide a sheltered aspect in full sun although Eucryphia × intermedia 'Rostrevor' will be tolerant of partial-shade. Plant in a moist well-drained, acidic soil. 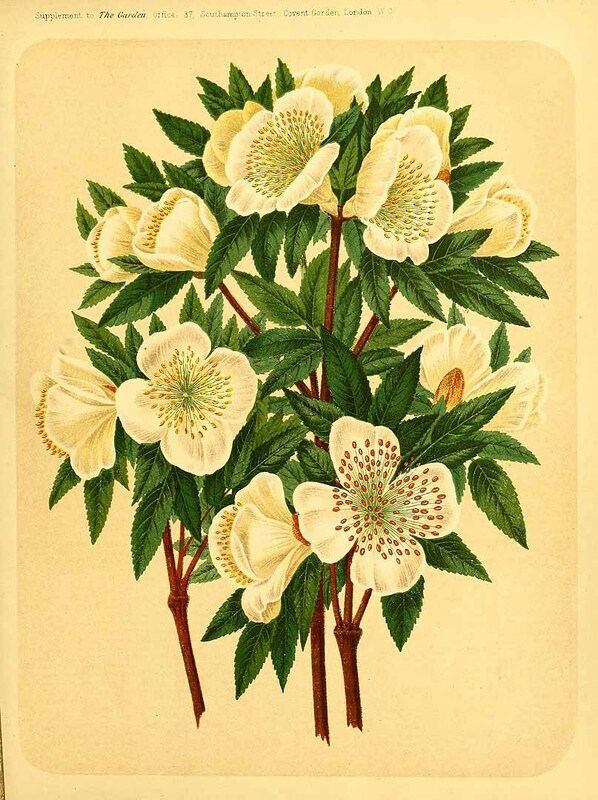 Like clematis, be aware that Eucryphia × intermedia 'Rostrevor' prefers to have its roots shaded when grown in full sun.